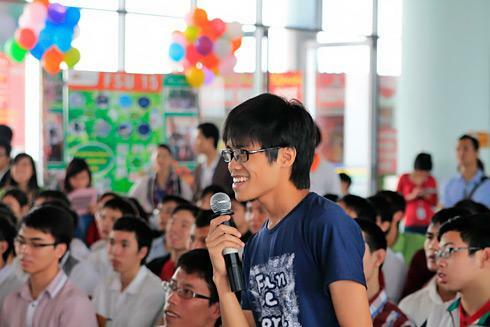 A young man puts a question at a startup festival in Ho Chi Minh City. Ho Chi Minh City which is Vietnam’s southern metropolis is among ten emerging market cities that CNN believes are the best places for people to launch and nurture a startup. The megacity, known as the financial hub of the Southeast Asian country, and the other nine cities have “emerged as formidable contenders in the new economy,” even though they were “once business backwaters,” the U.S. cable news channel said on Monday. The list of the ten best emerging cities to launch startups in was featured on CNN’s Virtual Think Tank digital series, which focuses on “the emerging markets, covering their startups, the power of the middle classes on their economies and the macro environment." Like other cities on the list, Ho Chi Minh City has leveraged what were once disadvantages and continues its ascent, according to Simon Squibb, CEO of Hong Kong-based Nest Investment. "[…] with 70 percent of the population under the age of 30, the energy and buzz in this country will continue to build on its growing startup scene," Squibb was quoted by CNN as saying. The other listed cities are Nairobi (Kenya), Bangalore (India), Santiago (Chile), Dakar (Senegal), Manila (the Philippines), Lagos (Nigeria), Lima (Peru), Tel Aviv (Israel), and Hong Kong. Squibb said Hong Kong still wins out in the list. "Ultimately, livability is a key ingredient. You always need to import talent no matter where you are, so having a great city for your core team definitely helps,” he was quoted as saying. Some of the successful startups based in Ho Chi Minh City include Haivl, a 9GAG-modelled social media website; and Tiki, an online shopping website that hopes to become Vietnam’s Amazon.